Spermogonia mostly epigenous on host needles, scattered or in two longitudinal rows, usually subepidermal, elongate, 500-1000 µm long and 200-500 µm wide, flattened to shallowly conoid, at first yellowish and becoming brown at maturity. 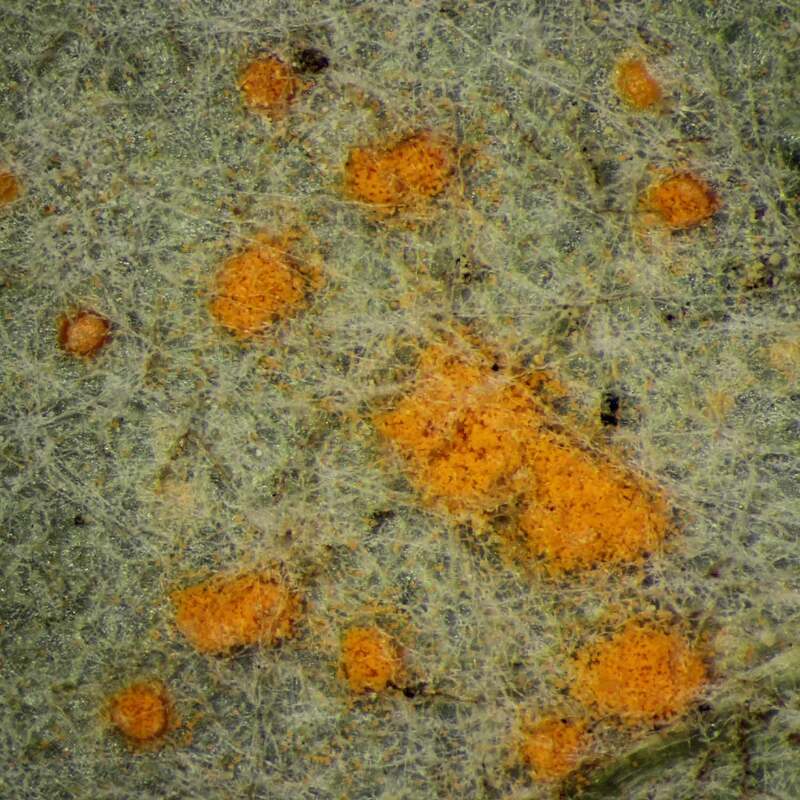 Aecidia amphigenous on host needles, laterally compressed, 1-3 mm long and 1-5 mm high, initially yellower but becoming paler with age, dehiscing irregularly. Peridium composed of cells 35-70 x 16-34 µm in size, the walls 3-5 µm thick, the external wall sometimes thinner than the internal walls, verrucose. Aecidiospores variable in shape, 20-40 x 16-27 µm, globose, ellipsoidal, ovoid or angular, the wall 2-3 µm thick, hyaline, densely verrucose. Uredinia hypogenous, scattered, 400-700 µm diam., circular to oblong in outline. 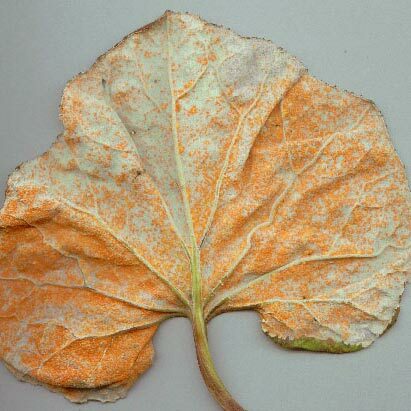 Upper wall soon dehiscing, exposing a floury mass of orange to yellow urediniospores. 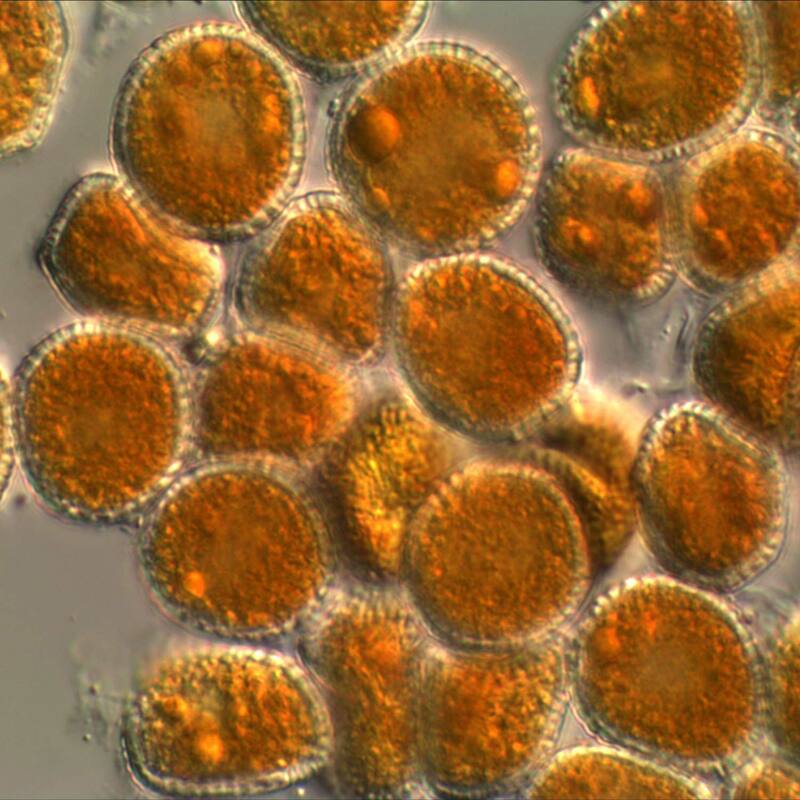 Urediniospores (22-) 25-31 (-39) × (16-)18-23 (-26) μm, subglobose to ellipsoidal or ovoid, hyaline, the wall 1-1.5 µm thick, densely and finely verrucose. Telia hypogenous, scattered or confluent and sometimes forming waxy crusts, 400-800 µm diam. Teliospores 60-105 x 15-24 µm, cylindrical to clavate, the basal part often attenuated; the wall thin laterally and 12-30 µm thick in the apical region, hyaline, smooth, initially aseptate but often becoming 4-celled at maturity, gelatinous at the apex.